Our good friends the Fassmanns watched our kids while we went on a cruise and this is their payment. 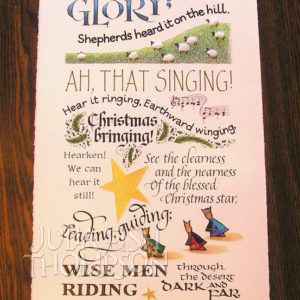 They chose a favorite Christmas carol. 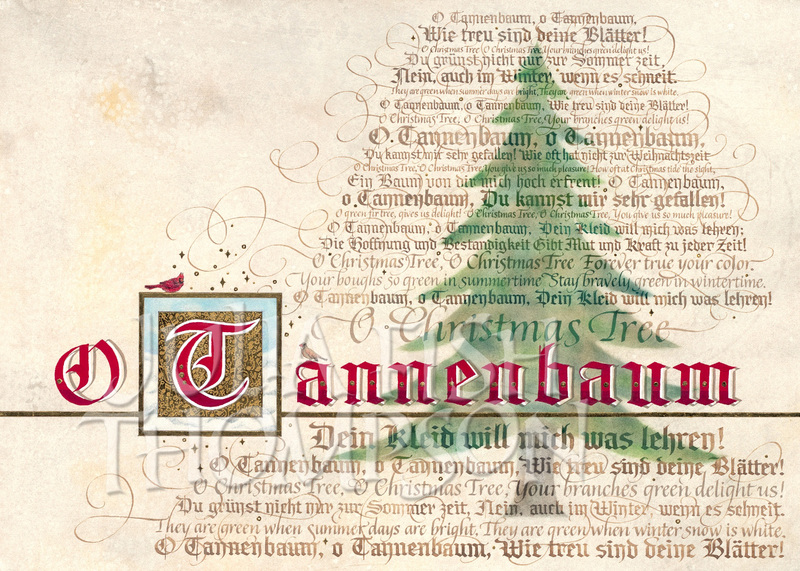 Since “O Tannenbaum” originated in German, I used a gothic hand for the text in German and Italic for the translation into English. *THIS ARTWORK DOES NOT COME FRAMED. 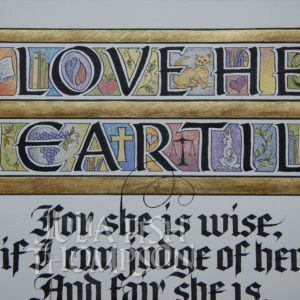 This artwork is a giclée print; the inks and paper are archival. 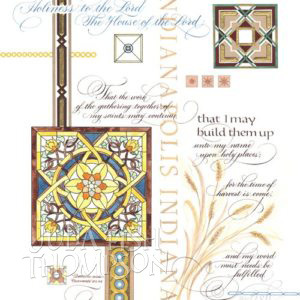 Reproduction of this piece is a Limited Edition of 500; each is signed and numbered by the artist. 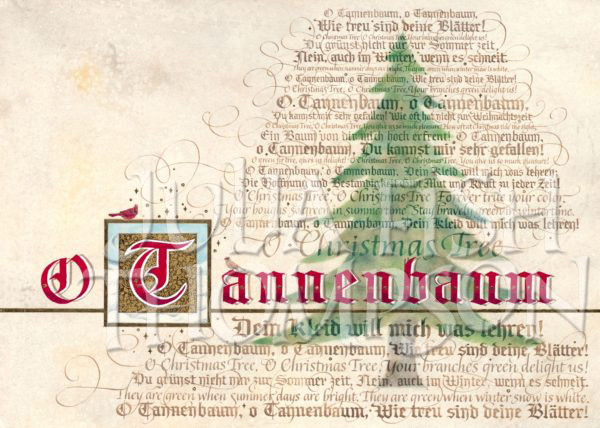 This piece features the lyrics of the Christmas carol “O Tannenbaum” in both English and German. The original is watercolor, gouache, chalk pastel, Prismacolor pencils, Pigma pen, and 23k gold leaf on Arches hot press paper.